SMMT has reported a 14.2% decline in UK engine production in November 2018. 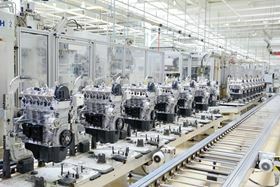 The Society of Motor Manufacturers & Traders (SMMT) has reported a 14.2% decline in UK engine production in November 2018 as manufacturers responded to market changes. Exports held steady with a 0.7% increase, while domestic demand dropped by 30.5%. Year-to-date volumes were more than 2.5 million, maintaining year-on-year levels. ‘November’s figures are the result of a range of factors, as manufacturers continue to respond to regulatory changes and adapt to model and technology changes as well as market demand’, said Mike Hawes, SMMT chief executive.